Dublin born Series Producer / Director Rob King has been announced for a new air cargo documentary series due for release on Discovery. King is no stranger to difficult and daunting access observational documentaries, having previously produced TV3’s critically acclaimed ‘Paramedics’ series. 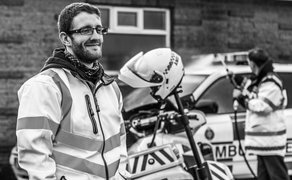 Spanning three seasons, ‘Paramedics’ gave an insightful and honest first person view inside the world of Ireland’s frontline emergency lifesavers - the National Ambulance Service (NAS), from car crashes to cardiac arrests and everything in between. The new 8-part series is due to air in late 2019.